Dear Parents/Guardians As President of Dubbo and District Preschool (DDPS.. The May 2015 newsletter has been emailed out to parents today, please let Kylie in the office know i.. The May newsletter has been emailed to parents, please let Kylie in the office know if you don't rec..
Before Preschool Care will be available in term 2. 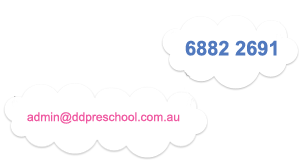 If you would like more information please contact..
Preschool Enrolments for 2015 open on Tuesday 28th January 2014 from 8.30am. No paperwork or..